The two greenhouses have different climatic zones inside, one has a tropical climate and one a mediterranean climate. 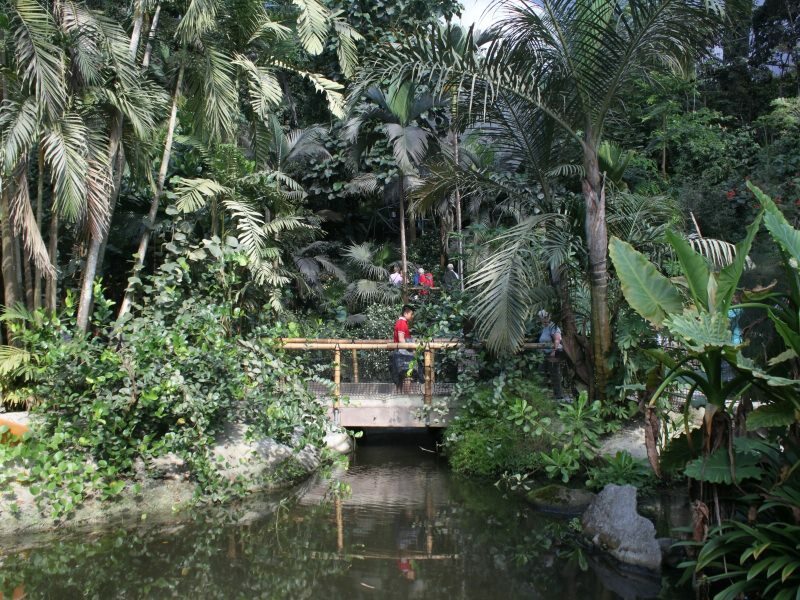 In the tropical biome there are many economic plants which are used daily, like rice, coffee, cacao, bananas and rubber trees, etc. The inside is very warm and very humid, which can be an issue for people with circulation problems, especially since there are also inclines to tackle to get at the top of the waterfall. Now there is also a viewing platform underneath the roof, but it is closed down when the humidity gets too high.